Chris Watson trained as a CEOP (Child Exploitation & Online Protection) Ambassador a number of years ago; this means that as well as being able to deliver the material directly to young people, she is able to train other adults to become CEOP Trainers. Because of this we have access to a wide range of training materials. E-Safety and Cyber Bullying is covered at least once a year formally in the classroom, although the topic is discussed whenever it arises. We take a 360° approach to this and discuss how everyone is affected by the action, not just the victim. By one person delivering the topic to years 2-6, we can ensure that key messages are reinforced and pupils’knowledge and understanding is developed and increasingly aligned with the‘real’ world. Aim is to raise pupils’ awareness of the danger of giving their personal information out on the internet. To develop their understanding that people are not always who they say they are. Aim to reinforce how to keep personal information safe, who and when it is ok to give personal info to. Aim: to understand SMART use of the internet and how it relates to them. A - Accepting, not to open attachments or click on links if they are not sure of the sure. T - Tell, to tell a trusted adult if something is worrying them, to show the evidence to an adult. Aim: to understand how to avoid SPAM, and to have a better understanding of how to use the internet in a safe and appropriate manner. An appreciation of the importance of surfing the internet in a safe and appropriate manner. 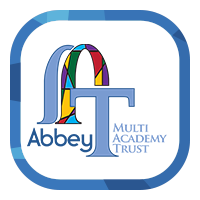 Aim: to help pupils to learn how to stay safe from sexual abuse, exploitation and other risks they may encounter online. Aim to challenge pupil’s understanding of keeping themselves safe online. ·How to use modern communications technologies safely and responsibly, by developing an informed attitude when using the internet. ·To show an awareness of E-safety rules and what is or is not appropriate to publish on the internet. ·To be aware of the audience and think carefully about the content when communicating information over the internet. 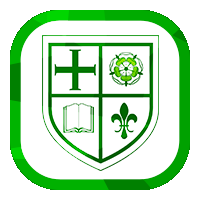 Aim: to further develop pupils’ understanding of how to protect personal information,particularly with the use of social media. To gain an understanding of what to do and where to go if worried. Aim: to understand the Cyber Bullying affects everyone. To realise that small changes in someone’s personality should be discussed, enabling the bigger picture to be seen.